Daily cleanser washes away impurities and leaves skin feeling soft. Removes excess oil, sweat and pollution to reduce the appearance of shine and pores. Formulated with Crushed Apricot Seeds, it sloughs off dead skin cells without leaving skin feeling overly dry. Leaves skin feeling smooth and shine-free. Appropriate for sensitive skin. Oil-Free, Paraben-Free, Sulfate-Free and Dermatologist tested. How to Apply : Dampen face and hands with warm water. Work cleanser into a lather and massage onto skin with an upright circular motion. Rinse with lukewarm water and pat dry. 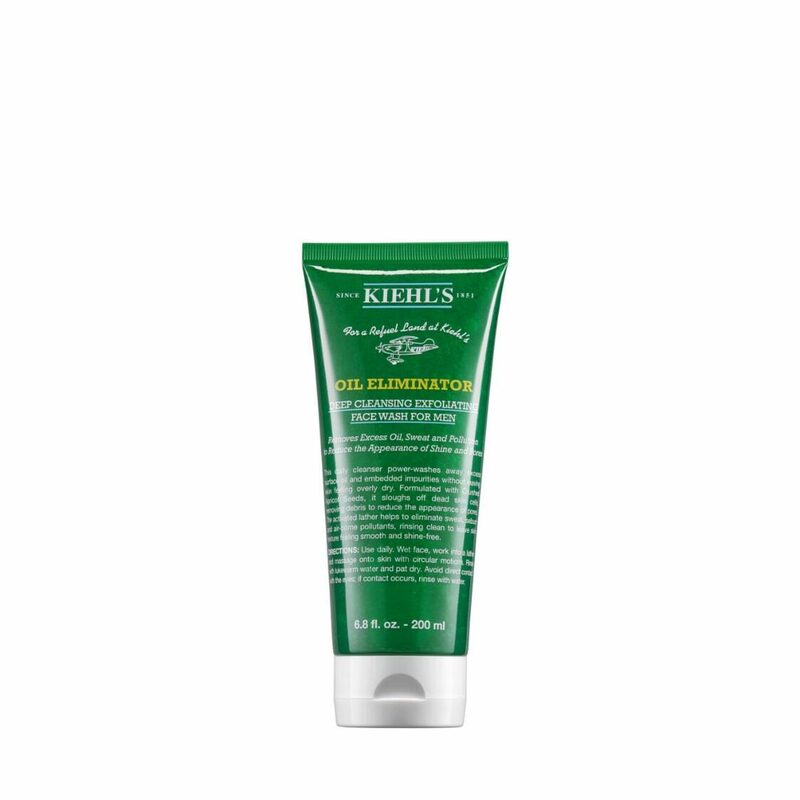 Kiehl's Insider Tips: For maximum oil control benefits when used in conjuction with Mens Oil Eliminator Refreshing Shine Control Spray Toner and Oil Eliminator 24-Hour Anti-Shine Moisturizer.